Grafton – The Grafton Board of Selectmen discussed two requests concerning the Grafton Public Library at the board’s June 16 meeting. The requests, which would have to be approved by the voters at Town Meeting, were for an application for a grant to improve the library, and $150,000 for architectural plans for the construction of a new town library. Grafton - At the end of a long dirt road, a low, modest building sits in between Lake Ripple and groomed fields that stretch to woods. 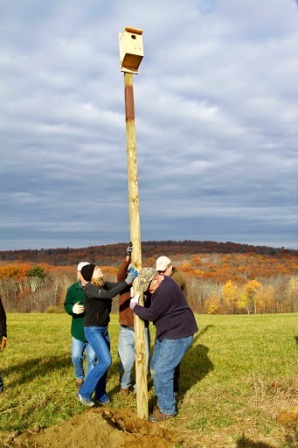 The little building is the home of the Grafton Lions Club, located at 68 Brigham Hill Road in Grafton, the owners and caretakers of 18 acres of land used by soccer players, dog walkers, and campers alike. Shrewsbury/Grafton – Lynn Ljunggren of Shrewsbury clocks a lot of time commuting. She’s a fulltime senior administrator at Raytheon in Marlborough, a piano accompanist with children choruses in Shrewsbury, and a church choir director and organist in North Grafton. A lifelong passion compels her to manage this busy travel schedule. Grafton – Retired Army Maj. Gen. Robert Catalanotti of Grafton returned.to his alma mater May 16 to deliver the commencement address at Assumption College in Worcester, where he graduated in 1980. He gained commission as a second lieutenant through crosstown enrollment in the Army Reserve Officers' Training Corps (ROTC) at Worcester Polytechnic Institute (WPI). 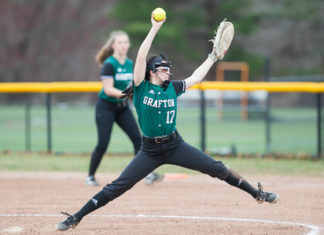 Grafton – The Grafton High girls’ track and field team has not had a recent history of success, but that changed this spring when they achieved a perfect 8-0 record, averaged 100 points per meet, were Southern Worcester County League (SECL) East champions for the first time since 2006 and were overall SWCL champions for the first time since 1996. The squad also took home third place in the 2015 District Class B meet. 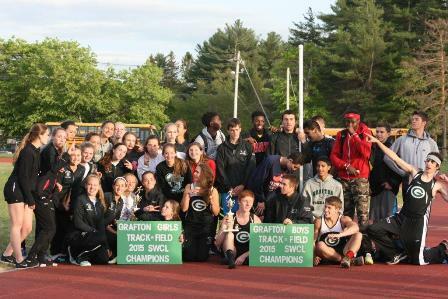 Grafton – Finding the right mix in high school sports can often present challenges, but one program that got it more than right this year was the Grafton High School boys’ track and field team. Grafton – Noel Heroux, a 2000 Grafton High School (GHS) alum, now lives and works as a musician in New York City. He credits GHS music director Steve Trombley as a supportive mentor.